Run As One is a 5k Walk, Run, or Hike event to bring awareness to the issue of veteran suicide. Team Red, White & Blue is proud to partner with Team Rubicon, The Mission Continues and SFCC VRC for the 8th annual RUN AS ONE! 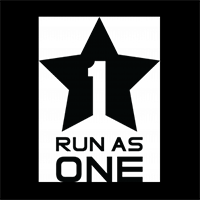 Thousands of veterans and supporters will unite at Run As One events nationwide to honor USMC veteran Clay Hunt and demonstrate to the world how exercise, community, and inclusivity combine to combat veteran suicide and mental health challenges. 10 a.m. to noon, Saturday, April 13 at the SFCC William C. Witter Fitness Education Center, 6401 Richards Ave.
For more information, contact the SFCC Veterans Resource Center, 505-428-1314.